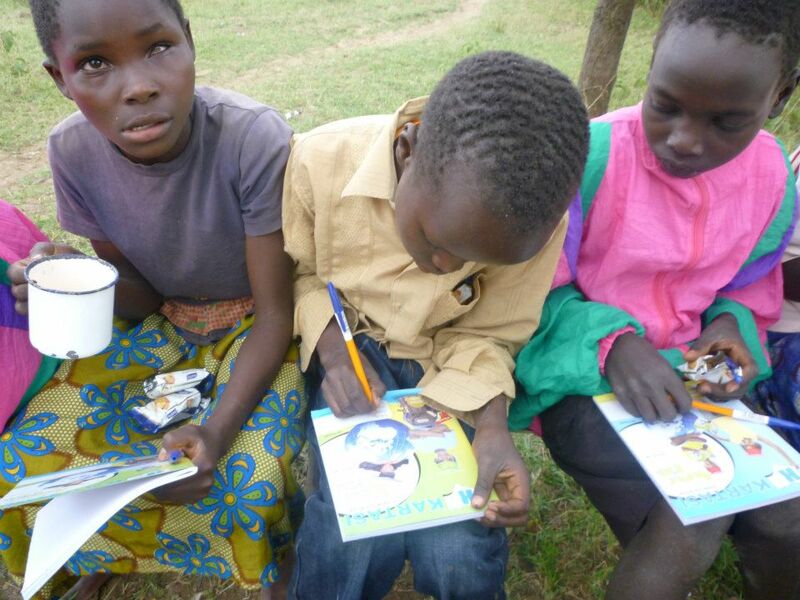 Over Christmas 2011, Be Kids encouraged the children in the Kengele Program to think about “giving back” to their peers - raising money to buy supplies for kids living in famine-ridden West Pokot, up near the Sudanese border. The children's efforts exceeded everyone's expectations - they ended up raising 25,000 shillings! (over $300 in Australian dollars). Be Kids matched this figure and the proceeds helped feed children affected by hunger in north-western Kenya. This initiative proved so successful that we thought it would be wonderful if the Kengele children could travel to the actual region. One of our donors sponsored the excursion which enabled children to meet, interact and bond with their new friends! Upon returning to Korogocho, the children indicated their wish to keep in contact with their new friends and this gave birth to our first Kengele Outreach Program. These young people began reaching out to their peers in remote Kenya and teaching them about leadership, expression through writing, video and photography, as well as children's rights and responsibilities. During the same period, we offered two positions to K-Youth Media graduates to serve as peer-to-peer mentors. They were Nahashon Mutahi and Abdi Wakil, who worked from July to September 2012. These two young adults guided the twelve children on creative expression skills using photographs, recording for radio, writing for the Kengele magazine and artwork. Chepareria is a village in West Pokot in Northern Kenya. The actual area of operation is very remote and often inaccessible by road. To compound matters, Chepareria has only stream water and no electricity. There are several cultural factors affecting the children, including early marriage, the economic pressures of polygamous families, female genital mutilation, and the fact that parents tend not to invest as much effort in educating girls as much as boys. Be Kids visited two schools where some of the Kengele children study. At Korelach School, some of the young children received dolls and small playing balls from students at Santa Maria College in Perth. The children responded to the exchange of gifts with much joy and happiness.